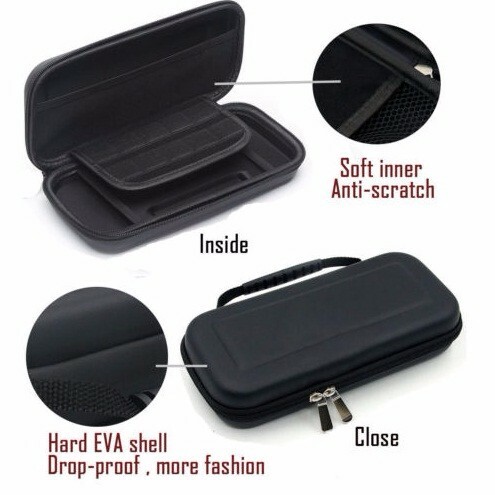 Soft inner material keeps your device free from scratches and drops. 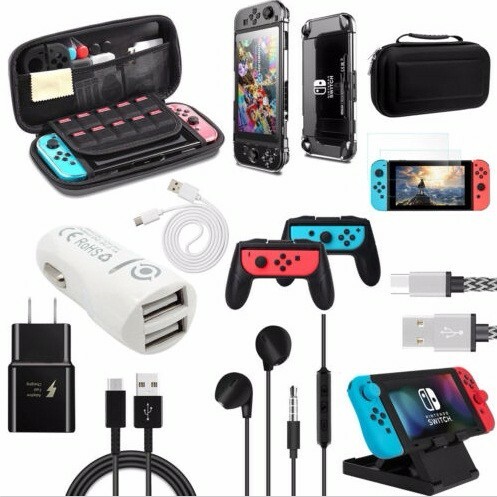 10 small game card pockets and a separate inner pocket which can fit for Switch Console, Cables, Game card case, and other smaller accessories. Light & Portable, Unique zipper head design ensure your small items do not fall out. 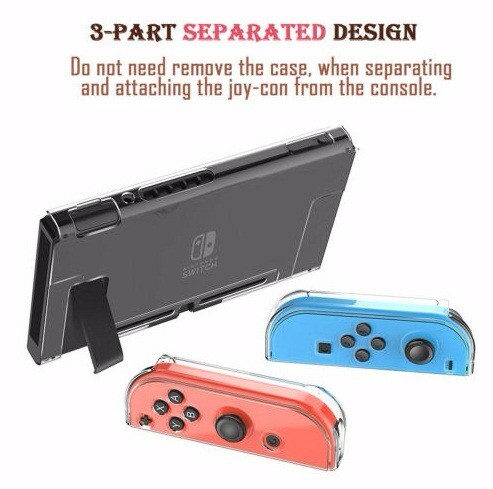 Please note: The nintendo switch console, controllers, and other accessories shown in images are for usage demonstration purposes only and are not included with this case. Only case, other accessory not included. 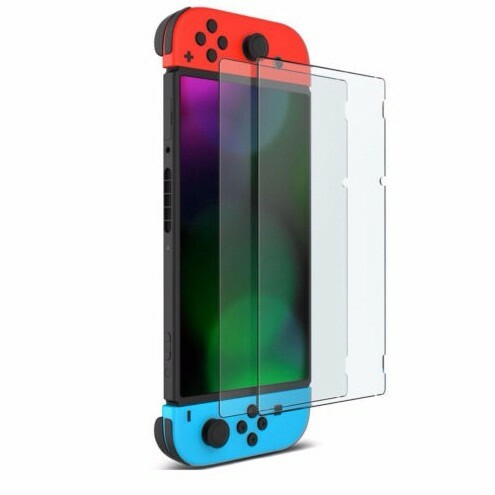 Sturdy Stand for Nintendo Switch, with two prongs is more secure. 4 rubber feet on the bottom, non-slip and shock absorption. Guarantees its long working life. 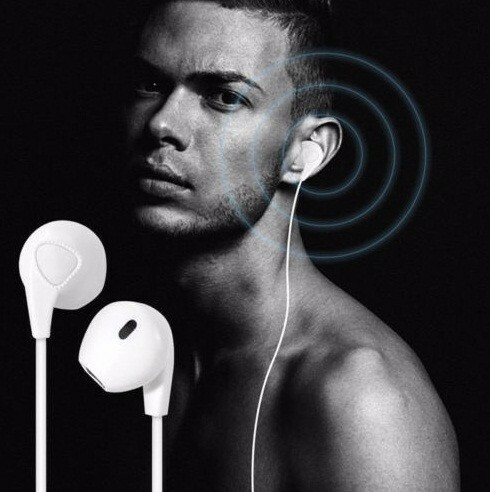 Ergonomic Design, provides superior grip and enhanced comfort. Provides SL and SR buttons on the top of grip to facilitate your game control. 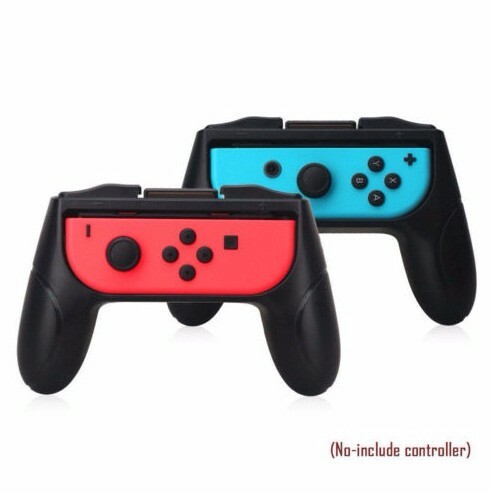 Please note: The switch controllers and other accessories shown in images are for usage demonstration purposes only and are not included with this product. 100% Generic new and good quality. Auto adjustable 100-240V input fits world travelers in most countries. Input voltage: 100-240V 50-60Hz 0.5A. Charger and cable only, device not included.